One of this year’s Oscar nominees for Best Documentary, “Searching For Sugar Man” seems like the story of yet another American pop star who was a big hit for a few years but then died at the peak of his career, leaving behind a legacy of what-could-have-been, a la Jimi Hendrix, Buddy Holly, Selena, Tupac Shakur. The difference is that this singer/songwriter, Sixto Rodriguez, isn’t dead. And he was never a star. At least, not here in the USA. He released two albums on a small record label, and no one bought them. Not in his hometown of Detroit, nor the rest of Michigan, nor the rest of America or, for that matter, the entire Northern Hemisphere. But somehow, halfway around the world, he became the voice of a generation. This guy from an American inner city had, completely without his knowledge, become a huge star in South Africa. This was in the late 1960s, when the oppressive apartheid government restricted information and banned Rodriguez’ songs from the airwaves. Still, kids were buying Rodriguez’ music, although he remained an absolute mystery to his fans. They never knew anything about him, and he never knew they’d bought a half-million copies of his albums.  It’s that mystery that is the core of “Searching For Sugar Man,” a documentary that follows a couple of South Africans on their quest to find out more about Rodriguez. They don’t have many clues — the liner notes on Rodriguez’ albums don’t offer much information — but they keep digging until they uncover the man and his story, and it’s fascinating. My only problem with the movie is that Rodriguez’ music, hailed by his fans as Dylanesque, isn’t really that good. Most of his songs sound the same, with folky lyrics over not-very-interesting guitar accompaniment backed by some schlocky production. It’s hard to see why anyone latched onto these tunes as world-changing. Whether I like Rodriguez’ material is immaterial. 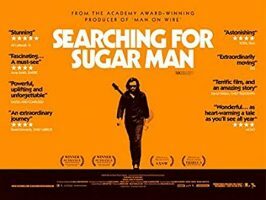 It’s the unraveling of the mystery that makes “Searching For Sugarman” work, and that’s why I have added it to my Movies You Might Not Know list.